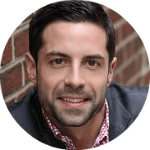 With his work in positive psychology, Seph has been able to help tens of thousands of practitioners and educators all around the world. Seph strongly believes that we can deal with most of life’s absurdities by leveraging human connection and challenging ourselves, instead of using dogma or pharmaceutical drugs. 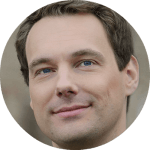 Co-founder of Positive Psychology Program, Ph.D.
Dr. Hugo Alberts (Ph.D.) – psychologist, researcher, and entrepreneur. Upon completion of the master’s psychology in 2002, he obtained his doctorate in 2007 on the theme of self-control. In 2008, mindfulness was a major focus of his research and teaching. 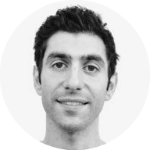 Through controlled lab- and field studies his research seeks to provide insight into the effectiveness of this method and the processes that underlie mindfulness. Originally from Australia, Craig moved to The Netherlands in 2016. Before moving overseas, he provided care and rehabilitation to clients with acquired brain injuries in his hometown of Sydney. 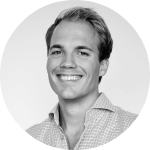 Craig now works in The Hague with the Positive Psychology Program where his love for digital media and interest in physiological therapies have aligned. Dr. Lucinda Poole is a psychologist, researcher and mindfulness teacher from Melbourne, Australia, currently living in the Netherlands. Lucinda is trained and experienced in a number of therapeutic approaches, including Cognitive-Behaviour Therapy, Acceptance and Commitment Therapy, Mindfulness, and interventions drawn from Positive Psychology research (e.g., strength-based change, self-compassion, gratitude, resilience). Lucinda is passionate about helping clients clarify their values, meet their personal goals, build resilience and develop skills and strategies to better manage difficult thoughts and feelings. 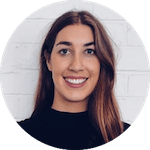 As part of the Positive Psychology Program team, Lucinda primarily works with Hugo to develop evidence-based interventions, exercises, and assessments for the Toolkit. Courtney Ackerman has lived in various places around the US, as well as spending a year in the UK as a child. These experiences spurred the development of a curiosity about people that never abated, and she indulged her interests by earning a master’s degree in positive organizational psychology and evaluation. 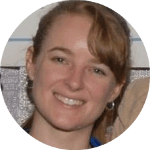 Courtney is currently working as a healthcare workforce researcher for the state of California, a freelance research consultant, and a regular contributor to the Positive Psychology Program blog. She is also the author of two books based on concepts rooted in positive psychology: My Pocket Positivity (available here) and 5-Minute Bliss (available in June 2019). She has a passion for survey research, well-being at work, and finding evidence-based methods for people to live happier, healthier, and more authentic lives. 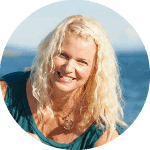 Birgit Ohlin is a passionate Life Coach and Leadership Consultant who believes in the flow of life. This former Marketing Manager came across Positive Psychology during her Master’s degree and it had a profound effect on her. She since studied Coaching and has turned her focus to innovation, transformation and change. 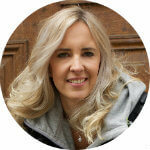 Working as a Life Coach she supports people who are taking positive action to create the life they desire. 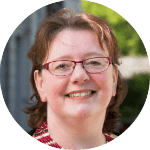 Birgit’s aim is to implement Positive Leadership in organisations and make Positive Psychology more accessible to the public. She is a passionate salsa dancer, loves the feeling of the sun on her skin and enjoys the art of ‘aimless traveling’. You can find her website at birgitohlin.com. 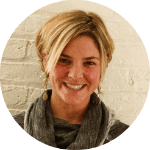 Katie is a work-life integration coach, workshop facilitator, and consultant. Her business, Tulaa Coaching, provides services that educate, empower, and support clients in their efforts to live authentic, integrated lives. Katie’s motto is: Live life on purpose with purpose. 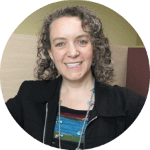 She holds a Master of Science Degree in Mental Health Counseling and a Master of Applied Positive Psychology degree from the University of Pennsylvania. In addition to passionately pursuing her life’s work as a positive psychology practitioner, Katie is a dedicated mom, wife, Ironman triathlete, and endurance coach. 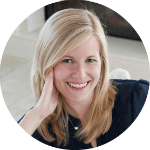 Lisa Sansom works in organizational development, is a corporate trainer and speaker, a leadership coach, team coach, a wife and a mom. She has a soft spot for education and positive psychology because she used to teach it in high school. She believes working makes her happier and strives to maintain a healthy balance and healthy between all these different roles. 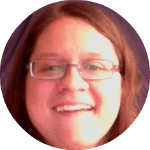 Lisa is also on the board of the Canadian Positive Psychology Association and the President of the MAPP Alumni Association at the University of of Pennsylvania. Michael Radparvar is the co-founder of Holstee, a lifestyle company helping conscious people to live a more meaningful life. Holstee’s journey began in 2009 with the viral popularity of their company Manifesto — a call to arms around how Michael and his founders defined what it means to live a successful life. He is an advisor for Positive Psychology Program. 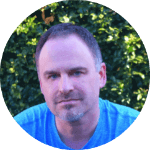 Brad is a member of the Australian Psychological Society (APS), the Australian Society of Hypnosis, and the University of Melbourne’s Positive Psychology Interest Group. As a previous manager of counselling programs he now consults with organisations to build staff wellbeing and encourage positive management practices www.lifepsychology.com.au. 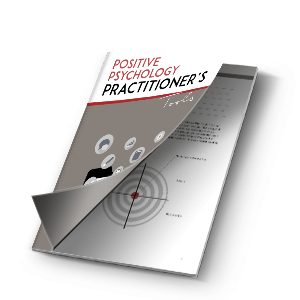 Brad also facilitates Positive Psychotherapy (PPT) training courses for practitioners- recognised as CPD events by the APS, the Australian Association of Social Workers and the Australian Counselling Association. Recently Brad presented the principles of Positive Psychology at the 11th APS Industrial and Organisational Psychology Conference. This controversial presentation challenged the popular myths about wellbeing at work and was awarded the prize for ‘best forum paper’. Chompoo occasionally works as a motivational speaker for educational institutions in her country. She has taken part in numerous motivational speaking conferences, laughter therapy workshops, and Changing Life with Positive Thinking project which became the best-selling book ‘Nang Yang Lang Jai’. She is looking forward to undertaking postgraduate study in Positive Psychology and to bringing it back to Thailand to help the Thai people flourish. Kristen Truempy accidentally discovered the strengths approach when she was 11 years old and captain of a girl’s football team. She used her skills of keen observation to discover each player’s talent, structured the practices accordingly and a year later the team won the cup. In 2012 she had to admit to herself that this experience would not suffice to convince companies to pay her to set the strengths of their employees free, so she embarked on the adventure that is obtaining a Master of Science in Applied Positive Psychology (and just recently passed). She can be found at http://www.strengthsphoenix.com. Moving from Vietnam to the United States has allowed Nhu to boost her knowledge in many different ways. She hopes to be able to utilize her knowledge in order to make a positive impact in people’s lives. 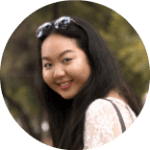 Nhu enjoys learning and taking on new challenges, since this helps her grow as a person. One day she hopes to travel and see the world with her own eyes. Works with individuals and organizations to enable positive evolution for <eco>systems. He is one of the first 100 people in the world to earn a Master of Applied Positive Psychology from the University of Pennsylvania + holds a Masters in the Foundations of Education from Montclair State University. His primary work is at home. He consults with Northern Valley Regional School District (NJ) where he matriculated through the 1990s, on SOMO Leadership Labs, a system-wide initiative birthed from his graduate work, SOcial-eMOtional leadership, a dynamic and socially constructed positive place-based intervention. 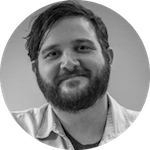 Louis is a fellow and grant recipient from George Mason University’s Center for the Advancement of Wellbeing, codirects the Certificate in Applied Positive Psychology Program and is a founding partner of The Flourishing Center. As a happiness coach and the founder of Happyologist®, Susanna helps you to discover what you want to get out of this life and how to go about doing that. With her book Screw Finding Your Passion: Let’s Unlock It, It’s Within You she challenges the notion that we should ‘find and follow’ one passion, and instead shows how you can live a more fulfilling life by living your whole life with passion. 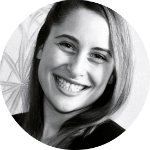 As a graduate of the Masters of Science in Applied Positive Psychology and as a published researcher, she bases her work and writings (and her life) on the science of happiness. You can find her and sign-up to a free happiness newsletter at Happyologist.co.uk. Jackie Echeverri is a curious and enthusiastic therapy intern working in the Los Angeles area. She developed a passion for all things Positive Psychology while pursuing a masters in Clinical Psychology. This research culminated in a master’s thesis exploring the efficacy of Positive Psychology interventions when treating depression and anxiety. Her academic interest has translated into her current therapy practice, where she applies a variety of Positive Psychology techniques with her therapy clients. Jackie wants to share her love of Positive Psychology in order to help them find their own unique path towards building a fulfilling life. She is particularly interested in optimism, motivation, character strength development and resiliency. Lilian Jans-Beken (1969) is a late bloomer. At 41 years of age she chose to study psychology and completed her master’s degree with honours in March 2014 in life span psychology at the Open University of the Netherlands. She is now a PhD candidate at the same university in positive psychology, researching gratitude within and between individuals. 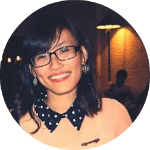 As a freelance tutor she supports students in higher vocational education and academics with their thesis process, substantive problems, and other (mental) difficulties students face during their education. For Positive Psychology Program, she wants to write concise and clear articles to inform readers about the latest scientific standing in positive psychology in general, and gratitude in particular. Uyanga is currently pursuing Masters of psychology (specialization in cognitive neuroscience) at Maastricht university. Before, she finished her bachelor of arts in psychology at Istanbul university. Her research interests include brain mechanisms of mindfulness, flow and well-being. She finds positive psychology fascinating because it studies human flourishing in systematic and applicable way. In the future, Uyanga plans on continuing her education in the field of positive psychology. 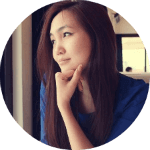 Born and raised in Mongolia, she wants to introduce and popularize positive psychology there. In January of 2015 Julia participated in Maastricht University’s positive psychology summer program. This experience solidified her passion for positive psychology. She is excited by the benefits of incorporating mindfulness programs into the workplace. As an organizational development professional focusing on process and performance improvement, she hopes to blend the two disciplines to become a corporate mindfulness meditation facilitator. 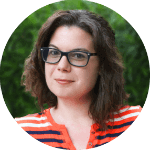 Julia holds a MA in Organizational Psychology from William James College and a BA in Organizational Development, minor in Psychology from the University of Massachusetts, Amherst. This is great information, and some fun introductory exercises. I work for a school district, so cost is an issue for our counseling department. Is there a way to just buy the current exercises and not have a monthly charge? Such awesome program!!! I am wondering if there is someone from your team here in Florida or someone willing to come over to give some kind of intensive workshop weekend… I would love to experiencing the positive energy in person, I am sure I am not the only one!!! I really wonder that Germany is still missing on the list! Well, time to change that ^_^ I am very thankful for all your work and support! PPP is a very valuable resource. I am a psychologist and neuroscientist, currently working in market research, which is merely a bread and butter job. I completed a PP training by a former MAPP-student who founded the German PP association. There I noticed that my heart and passion lies in the field of PP 2.0. But as those ideas of second wave PP are quite new, I am not sure how to start. Actually, I’d love to work on the topic in a PhD to spread and popularise PP 2.0. Do you maybe have tips or ideas on how to accomplish my goal? This is such important work-well done to everybody. What can we do to put Ireland on the Positive Psychology map? Reading all these brought a positive feeling. I am just thankful for Seph and Positive Psychology who never get tired of keeping in touch. I want to learn more about Positive Psychology. Thank you Seph and Postive Psychology people. Hi, I’m just writing to express my gratitude for the access to the pdf materials! I usually don’t print out documents but these ones are precious and came just at the right time. I hope they will help provide accurate support for my partner and myself too. His alcohol disorder and both of our traumatic experiences seem to create too many obstacles in our relationship. I’m pretty positive still. I feel strongly connected to your group especially after reading Jessie’s journey and interests. I’m an entrepreneur living in Malta & Portugal after having lived in the UK and the Netherlands and I’m in love with digital marketing and creative writing. I look forward to your program! Thank you! Nice to know so many people working towards the theory of positivity. Me too being medical professional recently realized few things within ourselves which has some undiscovered capabilities and several example of events and experiences which remain unnoticed because those are not realized and no one would understand the reason. But now my intuition says it is related to phenomena of positivity. But this needs more deeper dive which can turn around the concept of living and healing. Hi, Great stuff!! thanks to the entire team. Thanks for stopping by and leaving a comment Melissa. Just writing to thank you for this super resource. I am a clinical neuropsychologist based in the UK. I am interested in the benefits of positive psychology for all of us (myself included of course), but with a professional interest in how it can be used to support neuro-rehabiliation. I shall keep a look out on your site. I also note how many of the PPP team appear to have integrated more personal, lifestyle values with with their professional aspirations/values/strengths. I too want to live somewhere I can surf! I have so much to learn!!! The points raised by Kim Cameron are simple and understandable but will certainly have a profound impact on individuals and organizations once applied judiciously. Please share with me universities that offer a PH.d in Business Psychology that incorporates positive psychology. I participated in a Consulting Track Doctorate program in Business Psychology at The Chicago School of Professional Psychology. I entered the program as an M.B.A. and found the curriculum very engaging with an emphasis on positive psychology principles. I completed the program in the on-ground executive “weekend residency” format, commuting to/from Chicago once a month but they also offer online programs. I wish you all the best in your search! I am so excited about this site. I am wondering whether there is anyone on this forum who could point me in the right direction. I am a speech pathologist and I work with many children in school systems who are so emotionally distraught. I custom design programs for each child using various resources to teach them emotional resiliency and a positive life choices. I am now interested in creating a school wide program based on positive psychology so children can start to develop emotional resiliency and thrive in this stressful world. Where do I begin? is there a school or anyone ( a researcher – maybe ) interested in a school wide project in the U.S? The management has a program for staff that is sued to encourage staff to think out of the box and find a project that appeals to us at the heart level and utilize it for professional and personal development. Eventually extend the personal benefits to the entire school community- teachers and students. I am long time meditation practitioner and am very familiar with mindfulness-based approaches to stress reduction and developing a happier mind set. I am also an avid consumer of neuroscience based research on mind, happiness, resiliency and well being. I would appreciate very much if someone could put me in touch with some people in this line of work interested in connecting with me. All the best in all you do! I am an educator and positive psychology coach. My goal is to introduce to the Italian school program a specific module for emotional intelligence and positivity, mandatory and scientific research grounded. Please me contact me at Link so we can discuss and compare deeply our ideas.